Nestled in a lush valley outside the town of Mae Hong Son, in the mountains of Northern Thailand, you find this beautiful place for nature lovers! The sounds of running water and the peaceful jungle setting is pure relaxation. We are the place for the perfect hide-away! 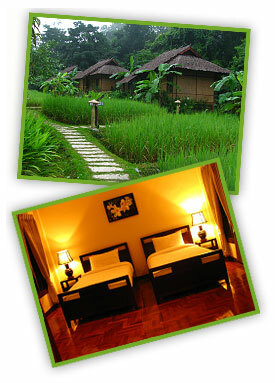 Our 30 wooden bungalows are built in the local Shan Style and are comfortable and tastefully decorated. Experience the sights and sounds of unspoiled nature! Our friendly and warm staff will make you feel at home right away! Let the Fern Resort be your special place to relax and regenerate yourself!